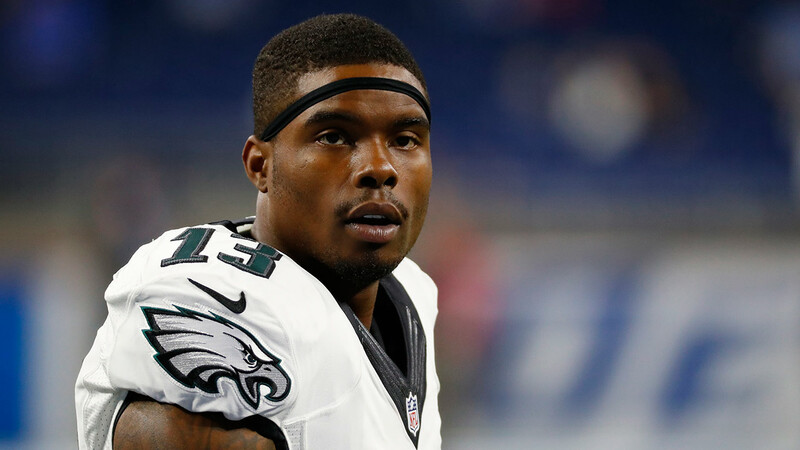 PHILADELPHIA -- The Philadelphia Eagles have released wide receiver Josh Huff days after he was arrested on gun and drug charges. Roster Move: #Eagles have released WR Josh Huff. The Eagles announced the release as a roster move. Huff was pulled over for speeding on the New Jersey side of the Walt Whitman Bridge around 11 a.m. Tuesday. He was charged with possessing a 9mm handgun without a permit in New Jersey and for the magazine found with six hollow-point bullets. He was also charged with a disorderly persons offense for having less than 50 grams of marijuana, police said. On Wednesday, Huff gave his first remarks to reporters. Josh Huff answered questions from reporters following his arrest. "I'm a professional athlete. What professional athlete don't have a gun? I have a wife and I have a son at home. My job is to protect them at all cost. My job is to protect myself, as well. Even though I know I have security here, I have to protect myself, as well," Huff said. Earlier Wednesday, Eagles head coach Doug Pederson had said Huff was still scheduled to play on Sunday against the New York Giants. Doug Pederson says he is disappointed.